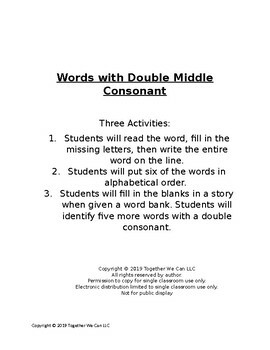 Students will engage with words with a double middle consonant in a variety of ways. 1. Students will read the word, fill in the missing letters, then write the entire word on the line. 2. Students will put six of the words in alphabetical order. 3. 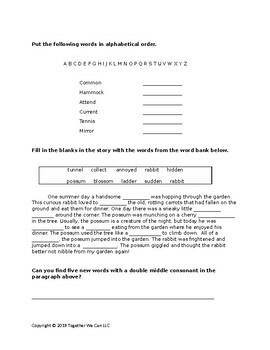 Students will fill in the blanks in a story when given a word bank. 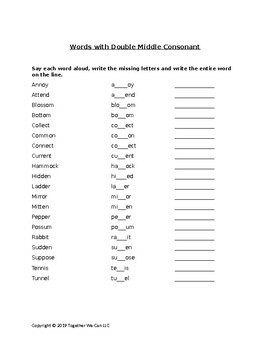 Students will identify five more words with a double consonant.